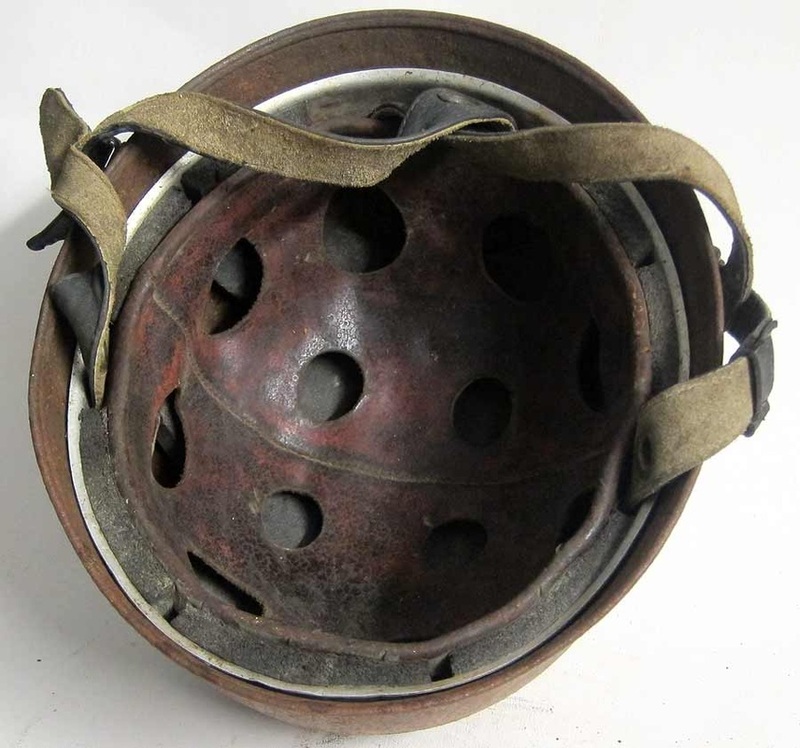 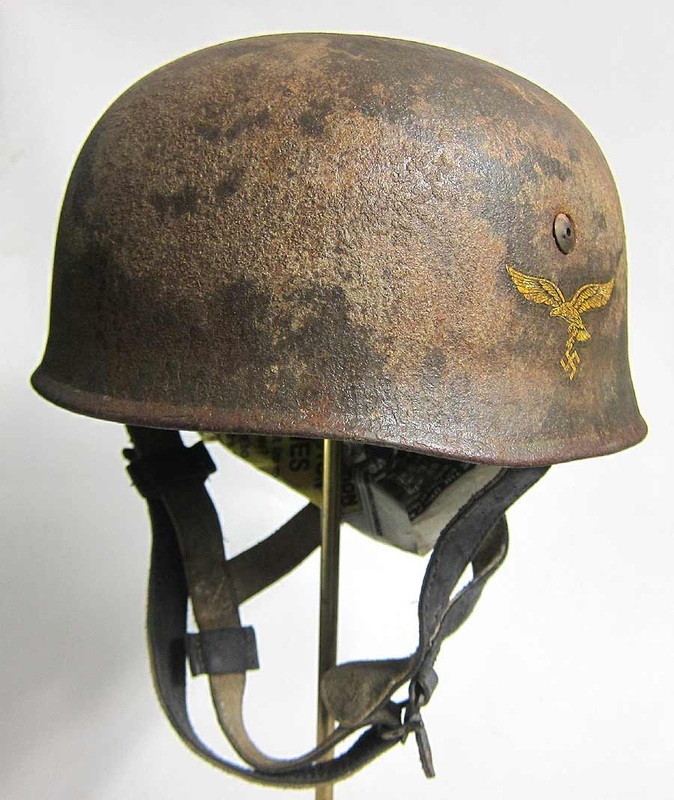 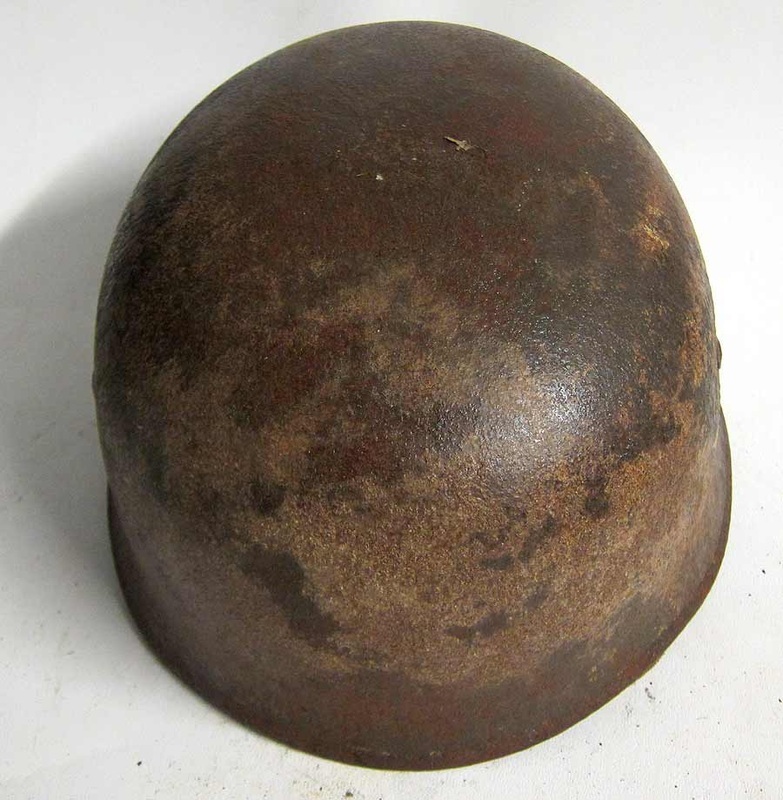 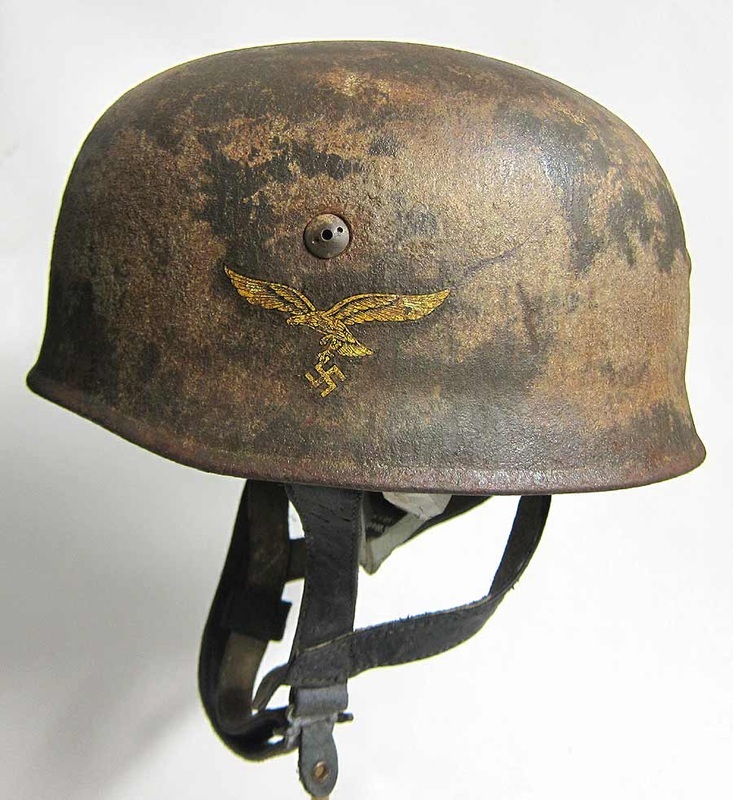 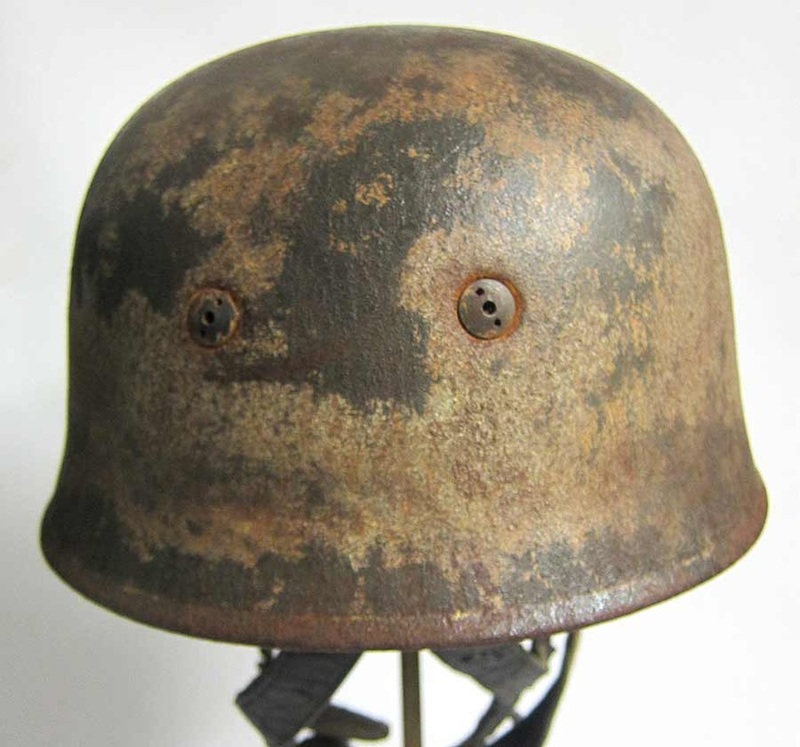 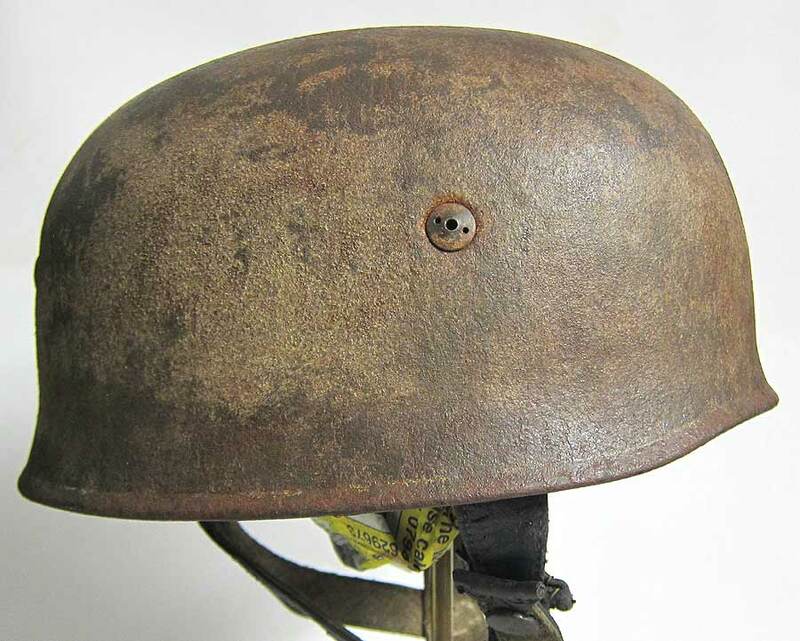 This is very good quality late war reproduction M38 Helmet which was sent to us by one of our customers who wanted a Normandy camo scheme helmet. We have made this to look like a period item but having been cleaned and looked after post war. 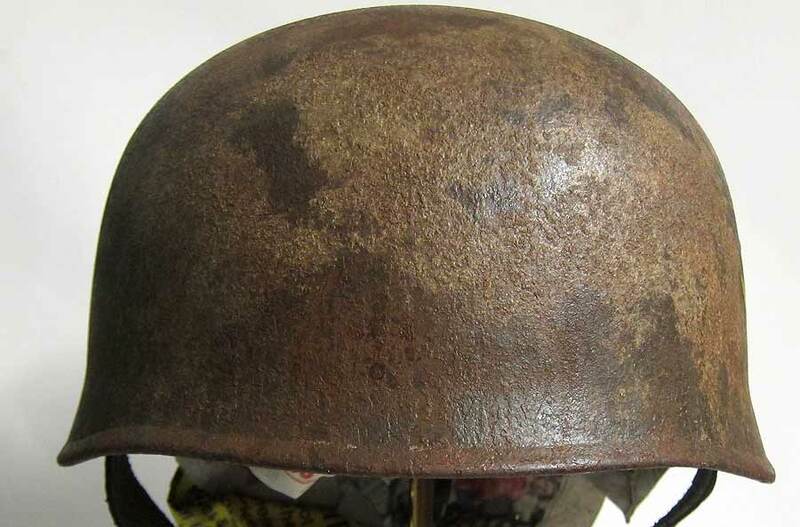 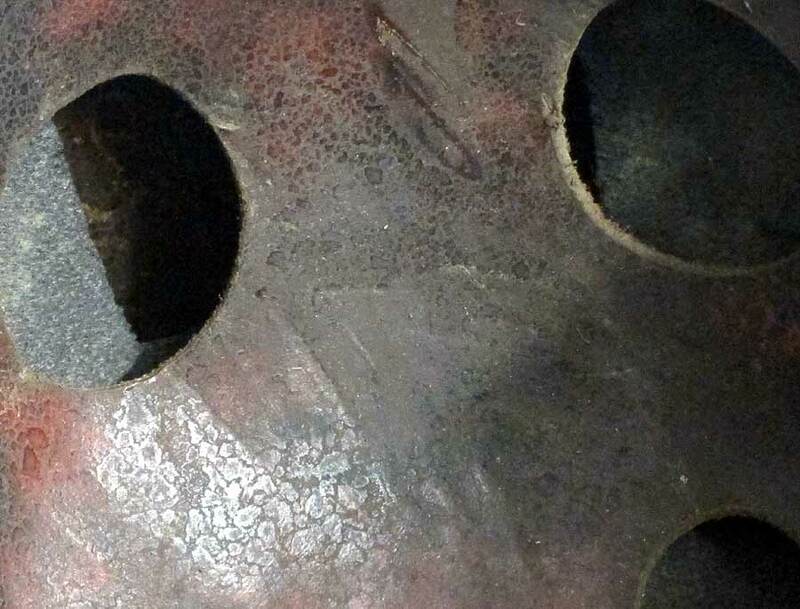 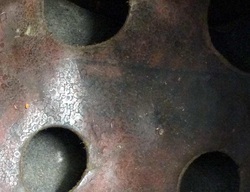 The shell is late war but has many mid to late war components and we have made the liner look very heavily worn to reflect it being swapped into a different shell. 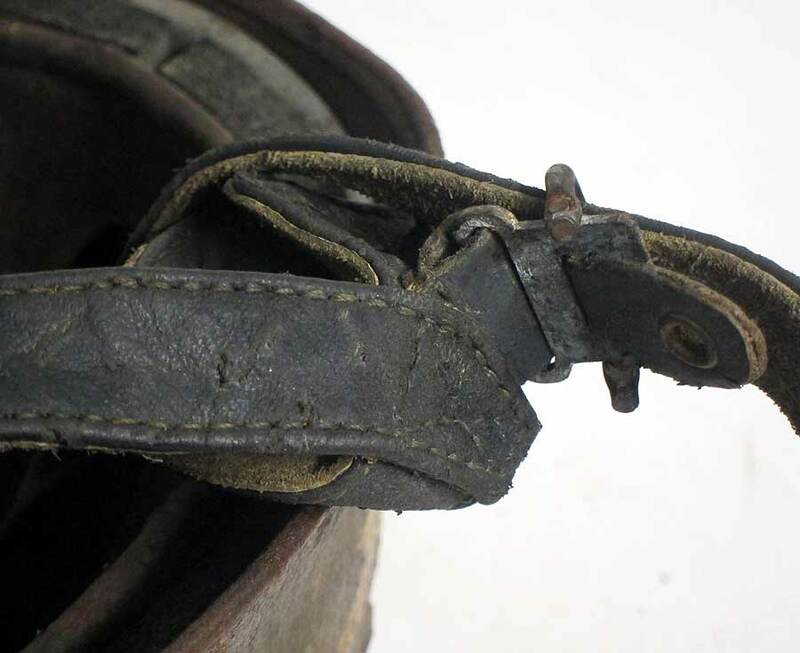 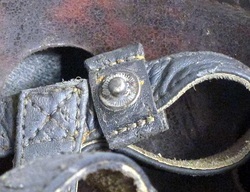 We have also added the correct material to the rubber shell padding and replaced the 'gate buckle' tab. 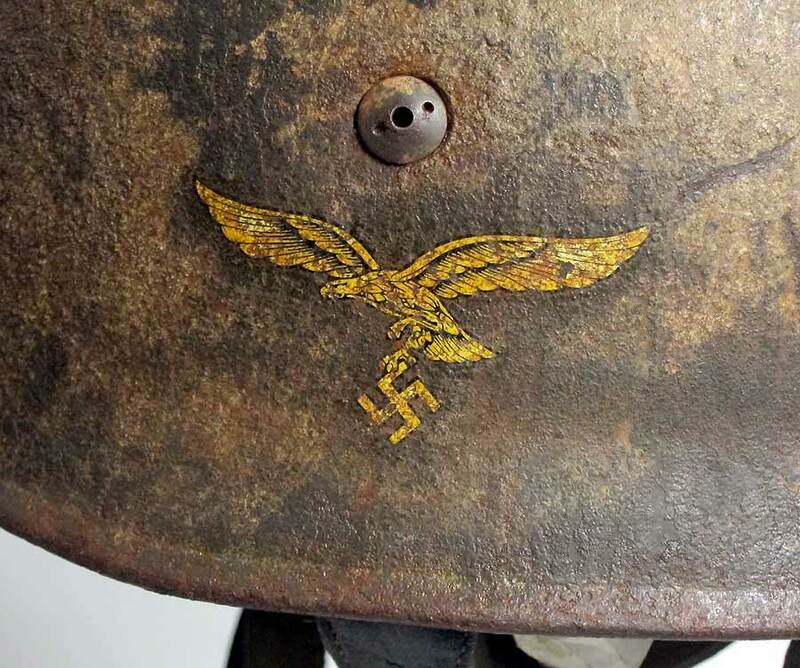 The photographs below are the finished item, notice the texture applied with the paint camo, the aged varnish to the eagle, the chinstraps and of course the base field grey olive paint under the camouflage ﻿paint.